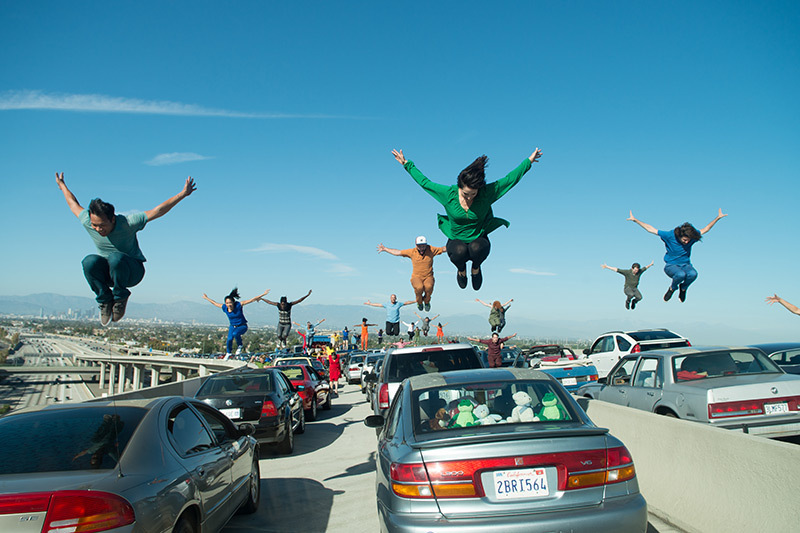 The first six minutes of Oscar darling La La Land might be the most impressive six minutes of the film: Somehow, some way, director Damien Chazelle convinced the city of Los Angeles to shut down the highway ramp connecting the 105 and the 110 in order to shoot the film’s cheery opening number, “Another Day of Sun.” The performance is certainly a feat, with actors dancing on top of cars that Ryan Gosling and Emma Stone may or may not have been sitting in. And while Chazelle managed to make it look like a cake walk on screen, mapping the whole thing out was apparently pretty nightmarish. “We all went in feeling pretty confident because we were quite happy with how the iPhone (video) had worked out,” Chazelle told USA Today. “And the dress rehearsal was a total disaster. The crane could not move the way an iPhone moves. … The choreography looked different, the slant of the freeway created a lot of other challenges. Everything was just tricky. We had to go back and regroup and make some adjustments.” The struggle. So real. USA Today recently released a rehearsal video Chazelle shot on his iPhone; take a look at the footage that became a blue-print for the real thing below. Previous articleSome of the Most Powerful Signs from Today’s Immigration March in Downtown L.A.